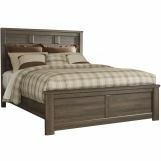 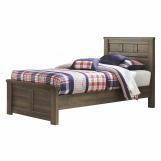 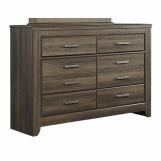 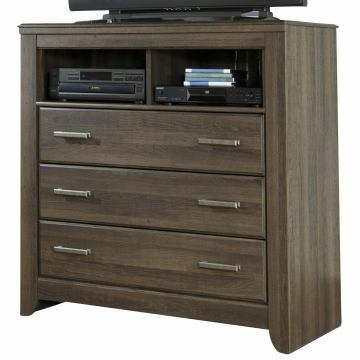 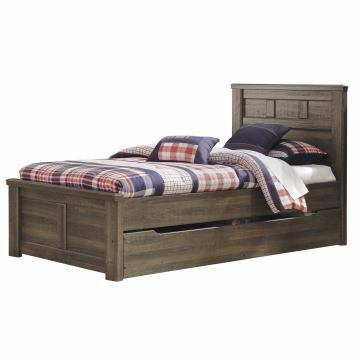 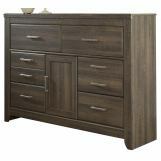 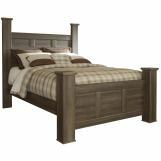 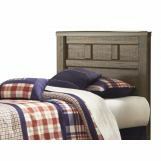 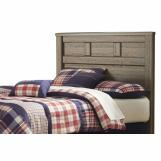 Bring in a rustic look to a bedroom with this transitional panel bed with a functional under bed storage unit. 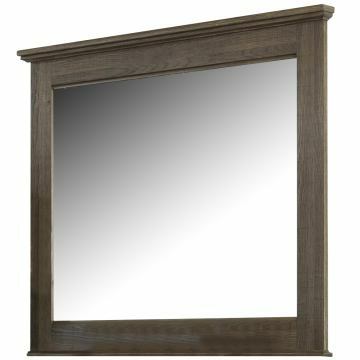 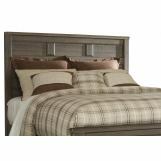 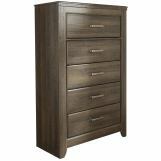 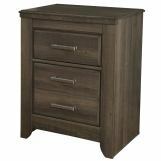 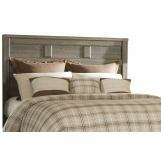 The Juararo Contemporary Panel Bedroom 5pc Set with Under Bed Storage by Ashley features framed moldings which showcase the beautiful vintage aged brown finish and add depth and dimension into any room. 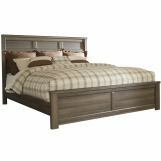 Featuring modern clean, simple lines, this panel bed will bring a fresh and updated look into any bedroom. 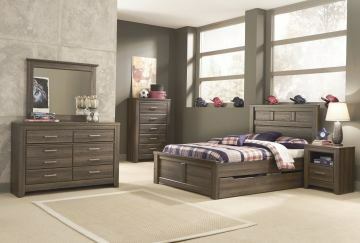 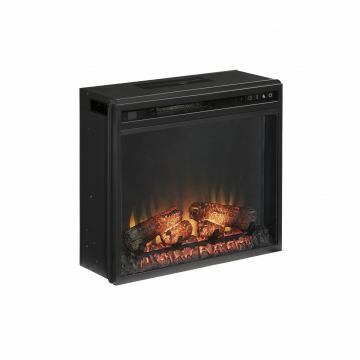 The under bed storage unit is divided into three compartments to maximize the storage area and keep it organized. 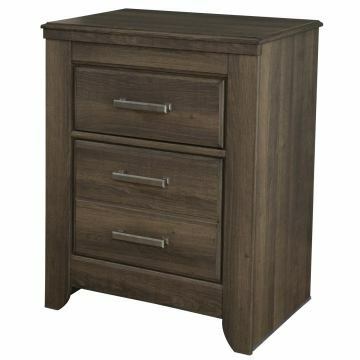 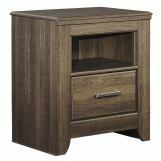 Combined with the nightstand, six drawer dresser and mirror, this bedroom set will perfect for a contemporary style bedroom set. 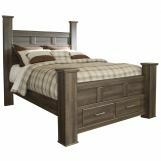 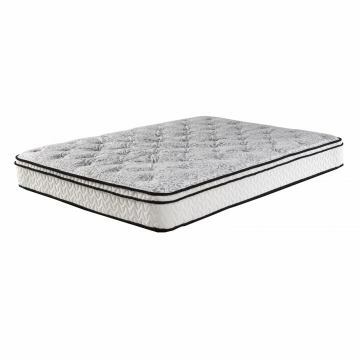 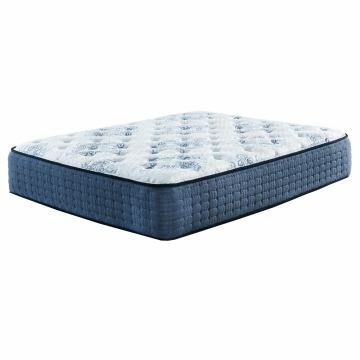 This bed is available in Twin, Ful, Queen and King sizes. 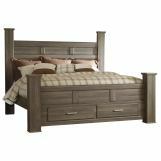 The beauty of this Juararo bedroom collection is a subtle combo of vintage and casual design, which come to life with the aged brown rough sawn finish flowing over a replicated oak grain. 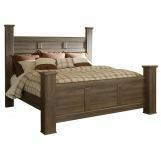 Incorporating case pilaster detailing, thick poster bed posts, clean lines, and warm pewter color hardware, the Juararo bedroom collection is the perfect way to create that modern cottage getaway within the comfort of your home. 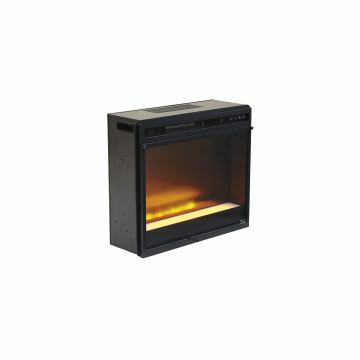 This Juararo Collection item features a video.